All I know is that it is for an A2. I can't advise whether it fits a specific vehicle. Donor Car: 2002 Audi A2 1600cc. The New and Used Audi Parts Specialist for all Audi models worldwide. Donor Car Colour: Bodywork is Green LY1S. Interior trim is Grey N0G/ YG. Audi Part Number: Unknown. 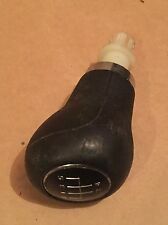 AUDI A2 GEAR KNOB & GAITER. AUDI A2 GEAR KNOB & GAITER. ITEM IS USED WILL SHOW SIGN OF WEAR BUT IN FULL WORKING ORDER. PART NO - 8Z0 711 246A. AUDI A2 GEAR SELECTOR WITH CABLES. Audi A2 Manual 5 Speed Gear Selector. Donor Car: 2004 Audi A2 1400cc. The New and Used Audi Parts Specialist for all Audi models worldwide. Audi Part Number: 8Z0 711 049 N. It may fit others. AUDI A2 GEAR SELECTOR TRIM. GEAR STICK AND GAITER. AUDI A2 1.4 PETROL 2001 MODEL 5 DOOR. PART NUMBER - 8Z0711246A. AJ SPARES is a large independent Vehicle Dismantlers. O.G.B (BAY 6). PAINT CODE - LY9B. PART NO - 8Z0 711 246A. 1.4 TDI DIESEL 90 BHP. AUDI A2 GEAR SELECTOR WITH CABLES. AUDI A2 8Z OEM ORIGINAL BLACK LEATHER GEARSTICK GAITER WITH 5 SPEED MANUAL GEARKNOB. MAKE/MODEL: AUDI A2 8Z. 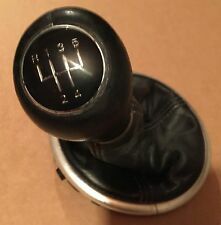 TRANSMISSION: 5 SPEED MANUAL (FCU). OTHER INFO: RIGHT HAND DRIVE. MILEAGE: 130.998. HAPPY BUYING! Donor Car: 2002 Audi A2 1600cc Sport. The New and Used Audi Parts Specialist for all Audi models worldwide. Audi Part Number: unknown. It may fit others. AUDI A2 1.4 LITRE DIESEL (TD) 2003 MODEL. 5 DOOR HATCHBACK 5 SPEED MANUAL. PAINT CODE - GREY. GEARBOX CODE - EWQ. Donor Car: 2004 Audi A2 1400cc. The New and Used Audi Parts Specialist for all Audi models worldwide. It may fit others. Audi Part Number: 8Z0 711 781 L.
PART NO - 8Z0 711 246A. AUDI A2 GEAR SELECTOR. Put the gear shifter directly into the gearshift lever (note that the rubber cover is first placed on the gearshift lever). 5 Speed Universal Aluminium Shift Gear Knob w/ 12 10 8mm Adapters. -Perfect to replace worn out or broken Shift Gear Knob. PART NO - 8Z0 711 208A. AUDI A2 GEAR SELECTOR CABLE MOUNT BRACKET. 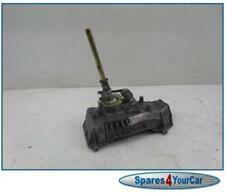 AUDI A2 1.4 TDI 2003 / 00-05 Gear Knob Gear Shifting Gate Gear lever 8Z0711246A / 8Z0711049S / 1J0711565 / 388804502. 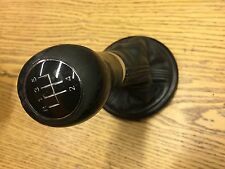 AUDI A2 1.4 TDI 2003 / 00-05 Gear Knob Gear Shifting Gate Gear lever 8Z0711246A / 8Z0711049S / 1J0711565 / 872673801. Universal black leather like gear shift knob. Not suiatable for lift up reverse! Includes fitting kit and instructions. Universal black leather like gear shift knob. Not suiatable for lift up reverse! Includes Fitting Kit. Important notice: The compatibility chart above is for guidance only. NOT suitable for automatic vehicles or if you have the lift up reverse function. Grub screws are included to ensure a secure fit. UNIVERSAL DSG AUTOMATIC GEAR KNOB COVER. Colour Grey. Easy Installation, Flexible Fit. Excludes scottish highlands, ireland & northern ireland. UNIVERSAL DSG AUTOMATIC GEAR KNOB COVER. Colour Beige. Easy Installation, Flexible Fit. Excludes scottish highlands, ireland & northern ireland. UNIVERSAL DSG AUTOMATIC GEAR KNOB COVER. Colour Blue. Excludes scottish highlands, ireland & northern ireland. Easy Installation, Flexible Fit. From a right hand drive vehicle. HAPPY BUYING! DRIVE SAFE! WE DO NOT PROVIDE ANY CODES/ RESETTING/ DECODING/ PROGRAMMING ETC. HOWEVER WE CAN GIVE YOU THE VIN NUMBER OF DONOR VEHICLE IF NECESSARY. VW Golf 4 (12mm intake). Knob real leather. VW Scirocco. VW Polo 6N1 /.6N2. VW Polo 9N. VW Passat 35i. -Fits in the Golf 4 and Audi with12 mm Recording. - Assembly of the knob with clamp. VW Golf 4 (12mm intake). VW Scirocco. VW Polo 6N1 /.6N2. VW Polo 9N. VW Passat 35i. Only suitable for12 mm Recording to shift linkage. -Fits in the Golf 4 and Audi with12 mm Recording. - Assembly of the knob with clamp. Years, engine2003m., 0kw, 1600cc. The carAudi A2. Interior Parts. Transmission & Drivetrain. Warranty on electronic devices is void if identifying mark is removed or has sign of tampering. We are always willing to work out any problems. VW Golf 4 (12mm intake). Knob real leather. VW Scirocco. VW Polo 6N1 /.6N2. VW Polo 9N. VW Passat 35i. -Fits in the Golf 4 and Audi with12 mm Recording. 5 aisle Shift pattern.